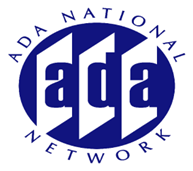 This is the conclusion of the two-part series that explore the requirements to conduct accessibility surveys by business, government and educational institutions to ensure that they meet the requirements of the ADA. Topics to be covered in the 2nd session include examination/assessment of exterior facilities including but not limited to parking lots, trails, sidewalks, curb cuts, pedestrian rights of way, etc. Experts in the field will share their "lessons learned" and tricks of the trade.